Happy June, historic fiction lovers! How are you doing with the Historic Fiction Reading Challenge so far? How about your other 2014 challenges? If you'd like to check out fellow participants' reviews, you can see all the January reviews here, the February reviews here, the March reviews here, the April reviews here, and the May reviews here. If you didn't have a chance/forgot to link up your reviews from previous months, you can link them up in June. No double posting of reviews though please. No giveaway again this month. Sorry guys! I honestly just can't afford it. If you'd like to be a sponsor (or know a blogger/author who might like to be a sponsor), please contact me. If you like winning stuff, stay tuned to the blog toward the end of the month because I'm going to have a huge sponsor-run giveaway for a ton of cash for the relaunch of my book Blue Sky Days. So far I have $60 worth of donations. If you'd like to learn more, please visit this page, and be sure to come back between the 27th and 30th to enter that giveaway! How many historic fiction books did you read in May? Which was your favourite? What do you plan to read in June? 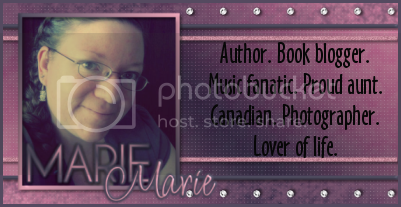 Hey Marie, I cannot find the June Review Linky Tool, is it there or is my eyes playing tricks on me?